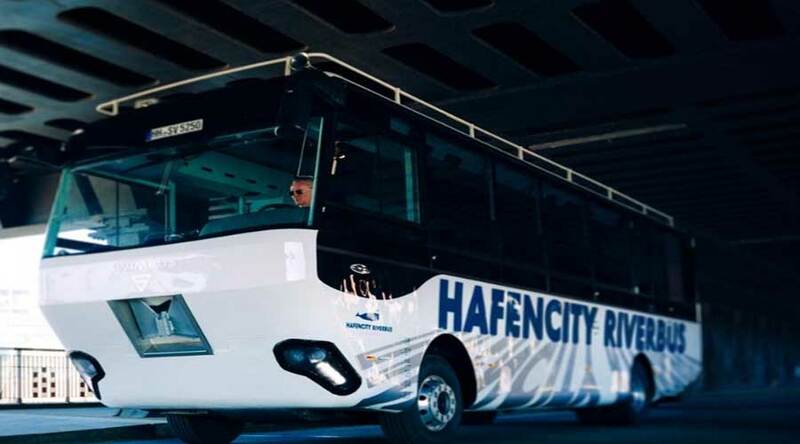 Hafencity city amphibious bus now in water!! Fred Franken, the bus enthusiast & MAN Trucks, one of the renowned brand in truck and bus segment; came up with an innovative product, this time in Germany. We call it an amphibious bus. It is also known as Hafencity river bus. This particular bus is plying from beautiful tourist places in Hamburg, Germany. The idea came in the mind of Fred Franken; a shipping merchant and bus enthusiast. He first saw a similar kind of bus in Singapore. Then he took his idea from paper to reality. It took Fred almost four years to obtain the permit as no bus exists which can go from land to water. The German traffic law also does not supports such kind of vehicle. Hence, making this type of shift was a really tedious task. But Fred took the challenge and now, the bus is getting an overwhelming response. It’s now a tourist attraction and locals also regularly travel by this bus. The numbers themselves speak how well this idea worked. In first two months of operation, this bus took almost 6000 passengers throughout the city. What is beneath the amphibious bus? Beneath the actual passenger cabin, there is a MAN truck's chassis. The body and water-proof hull comes from Hungary. On the roads, it drives just like normal bus. Once it hits the water, the two water jets power the boat. The maneuverability in the water is excellent. Another challenging part is the maintenance of such an out-of-place vehicle. It is a complex piece of engineering as it can travel on roads and on the water. It involves a high degree of technical know-how. Availability of spare parts is also a challenge. Fortunately, this bus owner is lucky enough to get his bus maintained. All the maintenance work is carried out by MAN Trucks & Bus Deutschland GmbH. The manager is also a skilled mariner. In some rare cases all the team needs to go out of the way. They need to design and manufacture the required part on their own from scratch. But here, German engineering comes into play. This city bus is surely getting the attention of everyone around the world and is one of the hot ways of going around the city in style. 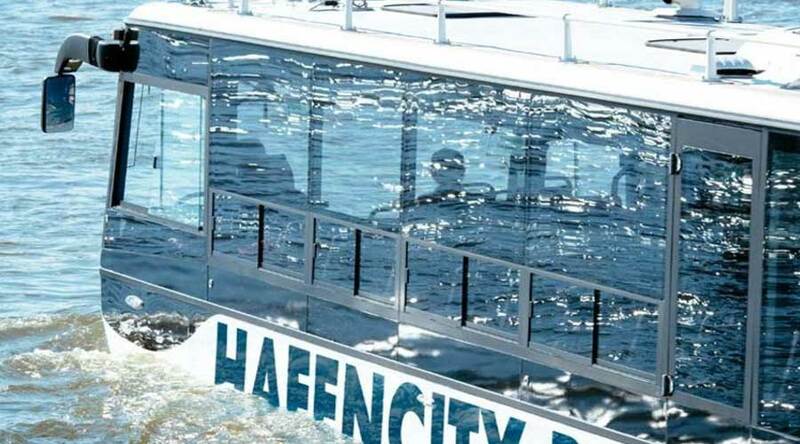 Home » Articles » Hafencity amphibious bus is really taking your travel to the next level.